Globalization and the information technology revolution are two inextricable phenomena that have far-reaching impacts on virtually every aspect of human life. On October 30th, a panel of experts in political science, economics, sociology and anthropology gathered to discuss the different forces of change that individuals, families and societies continue to reconcile with their lives and livelihoods. 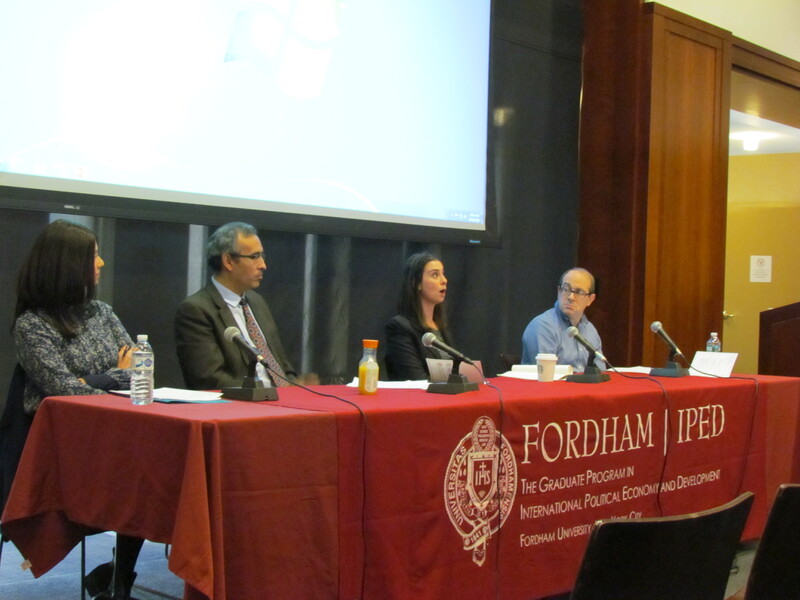 The event was co-sponsored by the Fordham IPED program and Touro college, with professors from both universities giving presentations on academic papers that they have written in conjunction with the event. 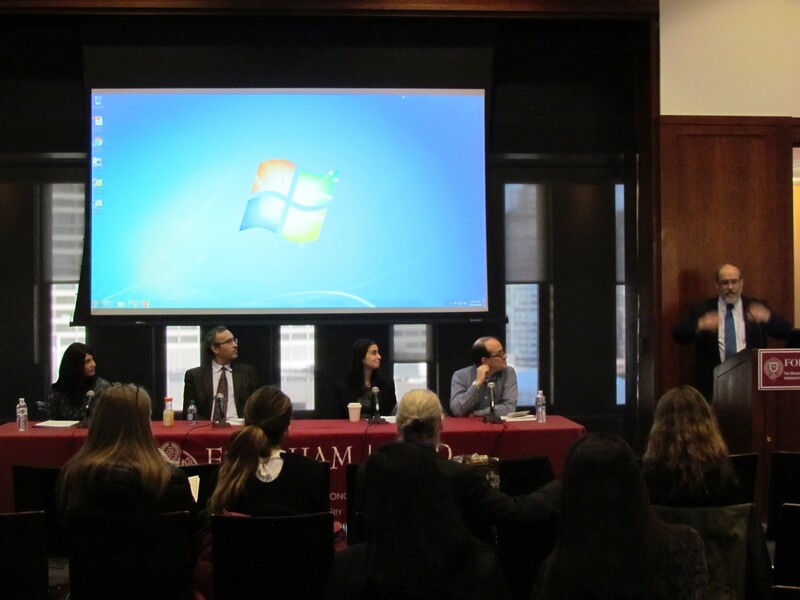 The morning session provided a holistic view of how globalization and technology are shaping social institutions. Dr. Ida Bastiaens, professor of political science at Fordham, offered an analysis of how the developed and developing world have been affected from a political perspective. Dr. Erick Rengifo, from Fordham’s economics department, elaborated on the forces of global economic convergence that have resulted in monopolistic competition and disruption in global job markets, amongst other outcomes. He reported that 375 million global workers will have to change occupations thanks to the technological revolution. Moving to a microeconomic level, Fordham sociology professor, Dr. Matthew Weinshenker, illustrated how this economic pressure influences families. Families often opt for dual employment in an hourglass economy in which inequality in incomes is growing. Parents experience greater anxiety over the economic future of their children in a more globally competitive and changing job market. Finally, Touro sociology professor, Dr. Deborah Ratti, explained how biotechnological innovation has contributed to an untenable scientific worldview devoid of personal meaning, driving a greater felt need for individual spirituality. A consistent theme of all the presentations is the double edged sword that technological innovation and global economic integration have brought. On one hand, both promise a world of maximum economic efficiency, spurring humanity to produce more goods and service at lower costs than ever before. Biotechnology has provided hope through reproductive technology and extending human longevity. The human race is more connected than ever before and societies are more transparent with the rapid transmission of information via social networks. And yet, these efficiencies have not come without negative externalities. Technology continues to cause economic disruption and foster economic inequality. Public confidence and participation in global democracies is low. Families are anxious and individuals are isolated. The sweeping and rapid pace of change is driving people to seek answers to its accompanying existential crisis. Globalization and technological innovation have benefited humanity on a scale that few would have dreamed possible just 50 years ago. But like any paradigm shifting economic force, it brings with it a high level of uncertainty for the future. One can only hope that individuals and societies will find a way to overcome these challenges and leverage these forces for the greatest social good for the many and not just the few.